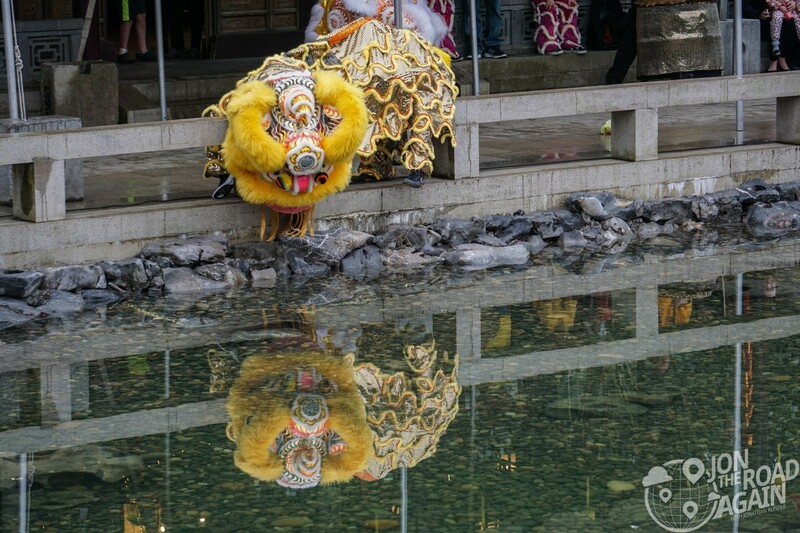 The Year of the Monkey has arrived and they’re celebrating Chinese New Year at Lan Su Garden in Portland. A full week of festivities are in store for the garden. 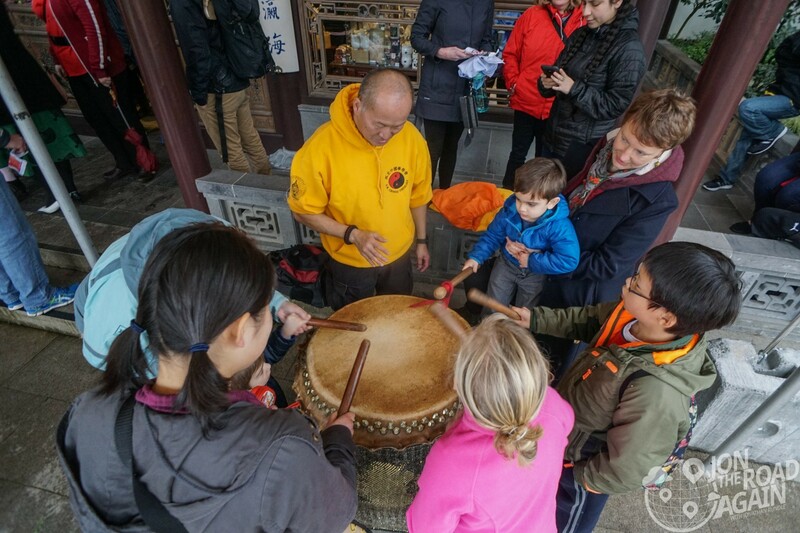 These events include calligraphy lessons, dragon dances, music in the teahouse, and four nights of night-time lantern viewing. 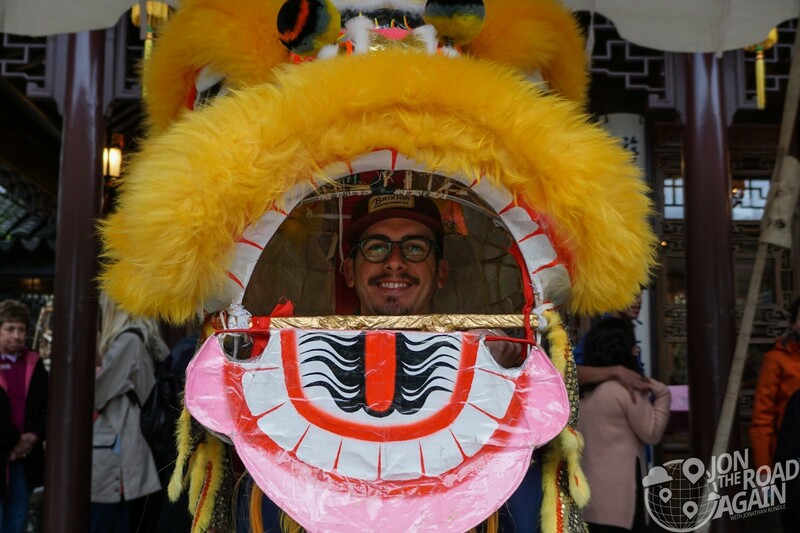 Today we’re in for some lion dancing. The garden is decorated beautifully for the holiday with red lanterns, dragons, and a wishing tree. Plus, spring appears to be arriving a little early because the beautiful trees throughout the garden have started to flower. Chinese wishing trees are a big part of Chinese New Year festivities. 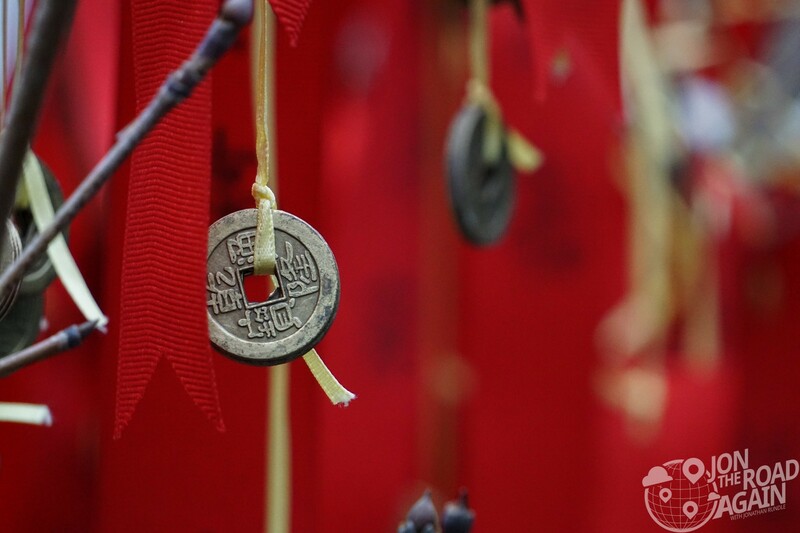 Every year, billions of people around the world gather to toss their red ribbons up into the wishing tree with hope that it will stick and their wish will come true for good fortune in the coming year. 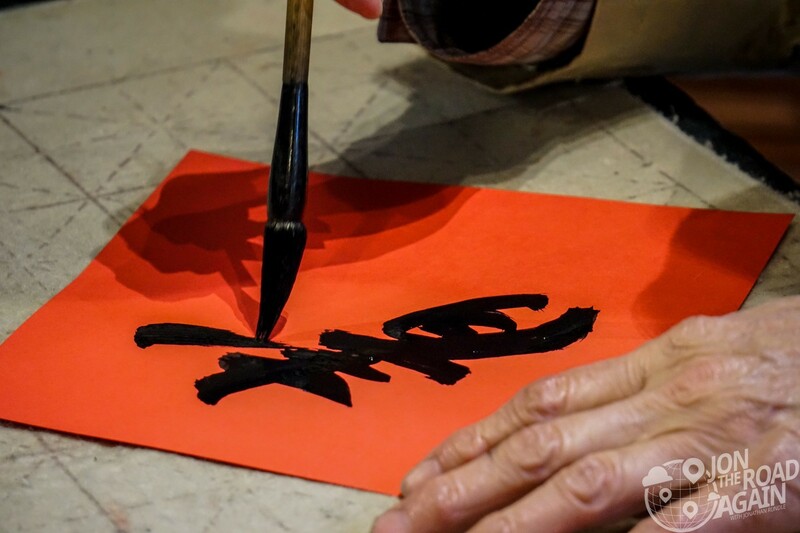 An on-site calligrapher writes your Chinese zodiac symbol (I’m a dog) or the Chinese Chengyu (short idioms) of your choice on the traditional red paper. These bright pieces are Fai Chun. 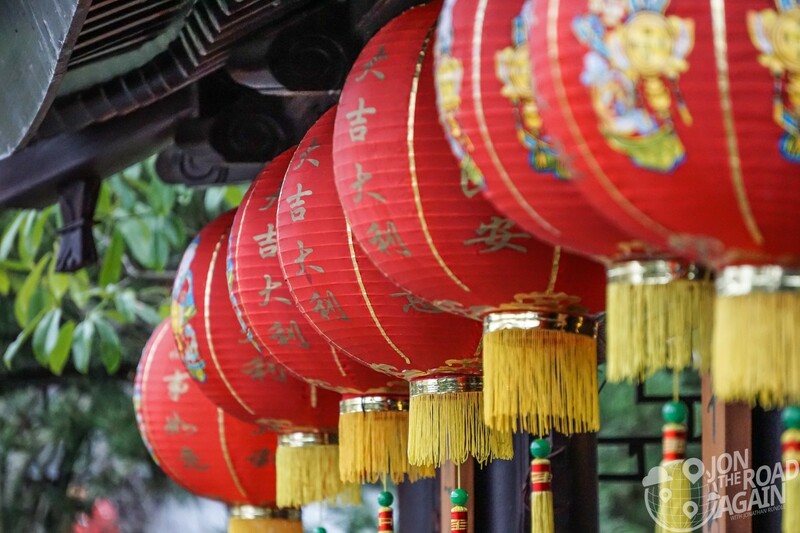 Chinese people put Fai Chun in their doorways to create jubilant, festive atmosphere since the phrases written on it mean good luck and prosperity for the coming year. 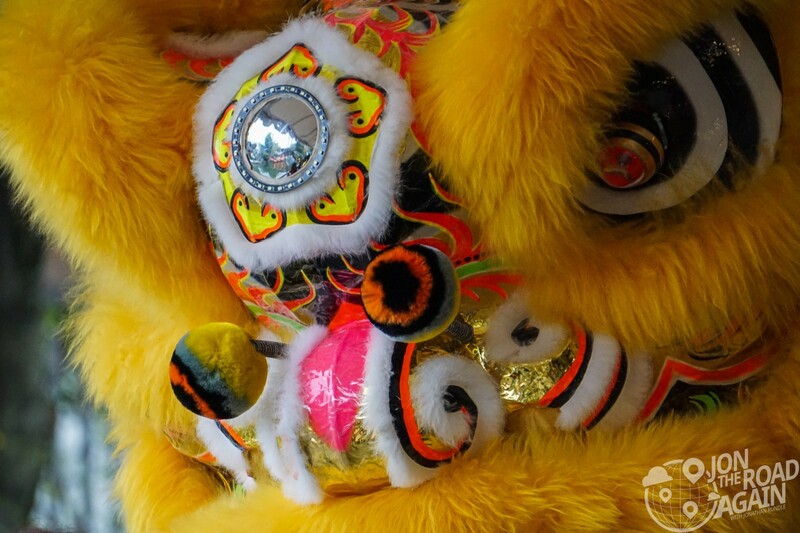 The time draws near for the Dragon Dancers to take the stage. People visiting the Lan Su Garden crowd around to get a good view of the show. 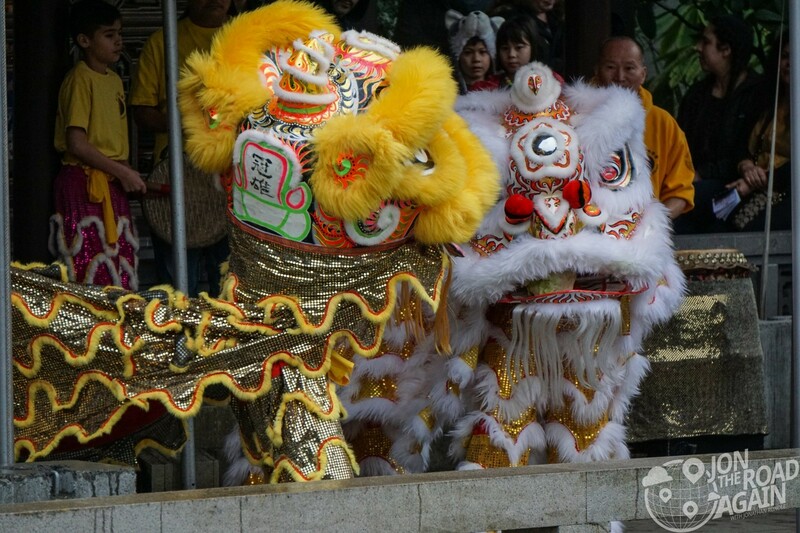 Here at Lan Su they had two Great Lions (Lions operated by two people). The lions here today are white (meaning an older lion) and yellow. They danced around and admired their reflections. The humans inside did an amazing job with their movements. After the show they were revealed to be high-school aged kids. They did a great job, and the crowed showed their appreciation. Those humans are part of the Portland Lee’s Association. 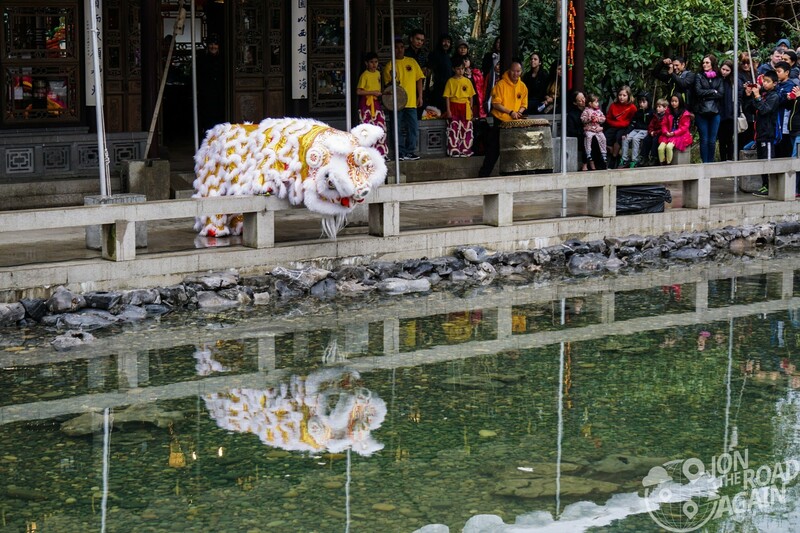 They put on quite a show and even stayed afterwards to show kids how to play traditional dragon dance music on the drum. They even let kids big and small try on the lion’s head. 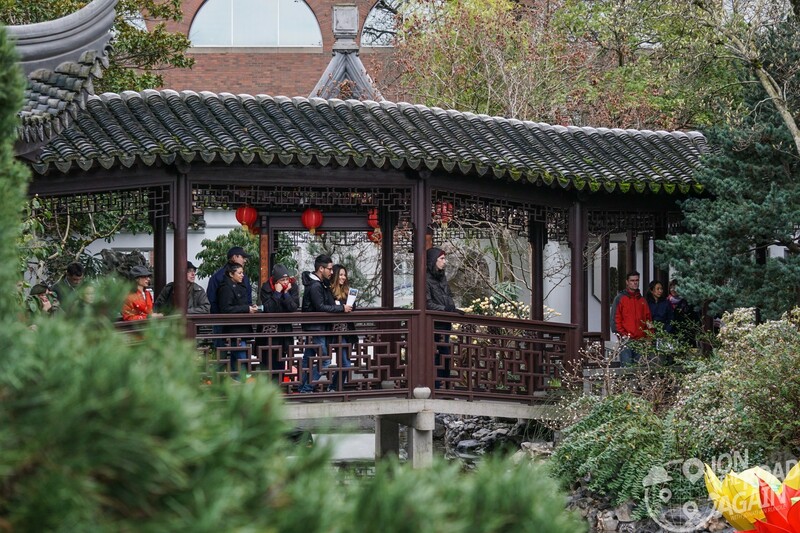 The Lan Su Garden is located in downtown Portland and is open every day from 10am – 5pm in the winter, and until 6pm in the summer. Visit their website for more information.